whose work calls for funds outside of regular parish giving. 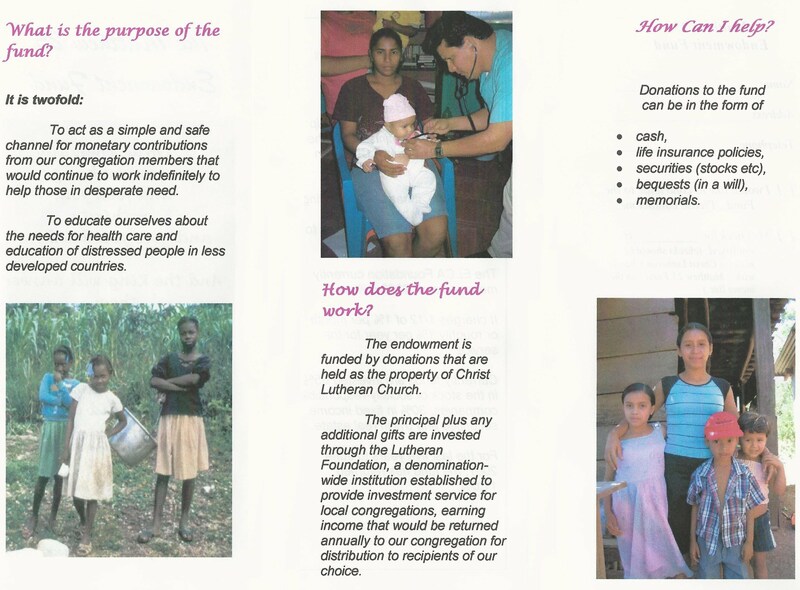 These funds allow the Church to enhance the Mission, Outreach & Ministry of the Congregation. Real Estate, Trusts & Other Financial Instruments. this fund acts as a safe and simple channel for contributions to be invested in perpetuity with distributions awarded annually. with a generous bequest from the estate of Mabel Peck. beyond that supported by regular giving.